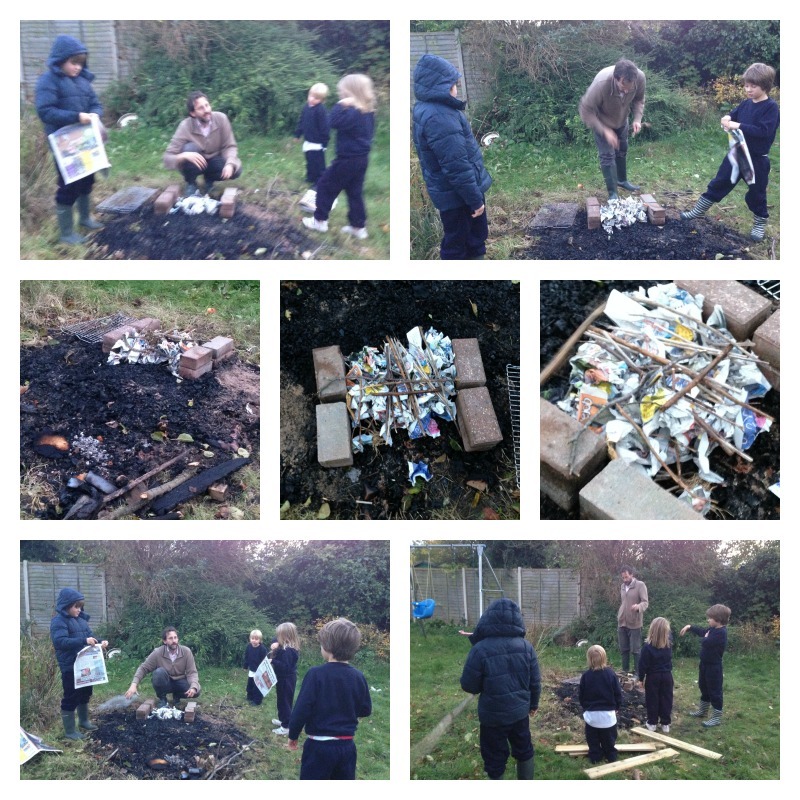 He taught the children how to build a fire. It was great watching them have so much fun with daddy, and learn a really useful skill too. With close supervision, Owl lit the fire. Then the cooking began. Somehow, the idea of hot chocolate was lost in Paul’s more elaborate plan to make prawn curry for supper. He chopped the onions and started frying them, while Monkey and Rabbit practised using a tin opener to open tins of tomatoes. The children took turns to add the ingredients (I should probably get Paul to blog the recipe!) and stir them. We also cooked some rice, and it was all ready pretty quickly. The resulting meal was delicious, even if it did look a little more rustic than the version Paul had cooked the weekend before! The children did get their hot chocolate in the end. Daddy cooked it for them while we were indoors watching Strictly. He also cooked stewed apple and custard out there. He doesn’t do anything by halves! 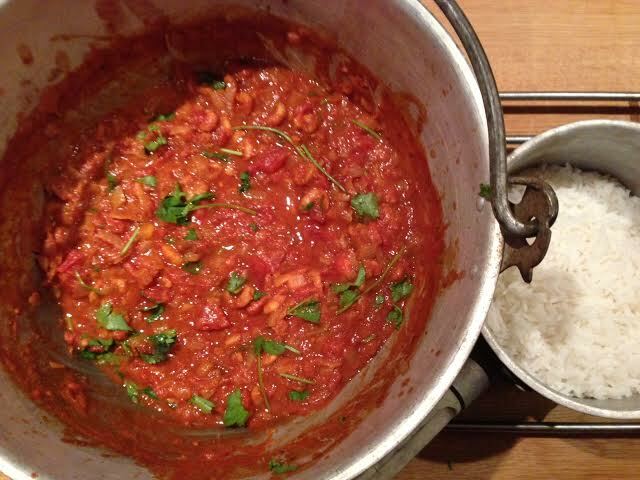 This entry was posted in Food, Natural Childhood and tagged country kids, fire, outdoor cooking, prawn curry on November 29, 2013 by Hannah. What a great idea! 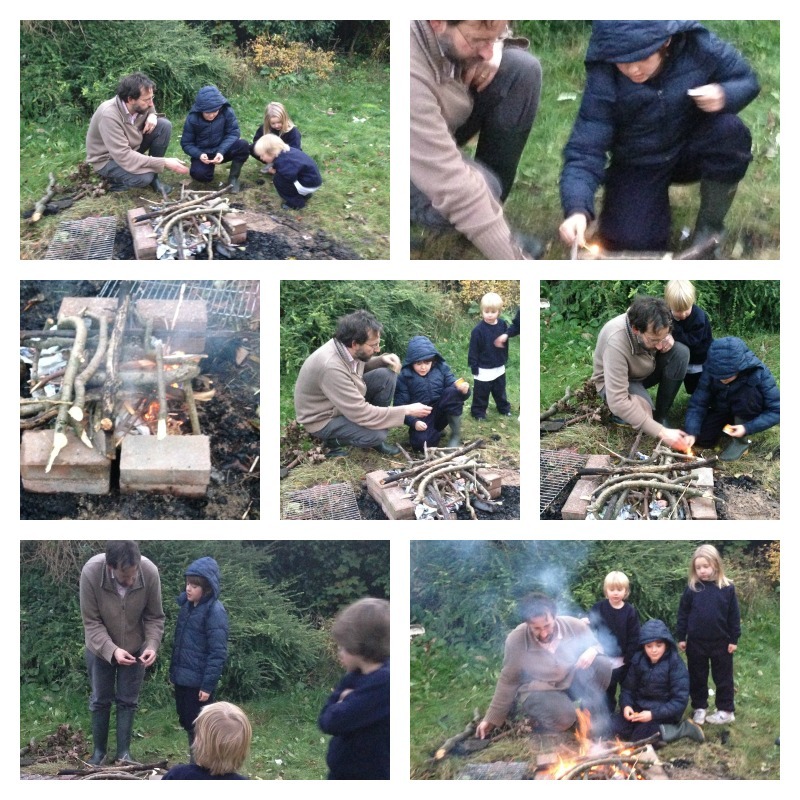 I’ve only just learnt to make a fire. That food has made me feel very hungry! Prawn Curry is a very advanced outdoor cooking plan. 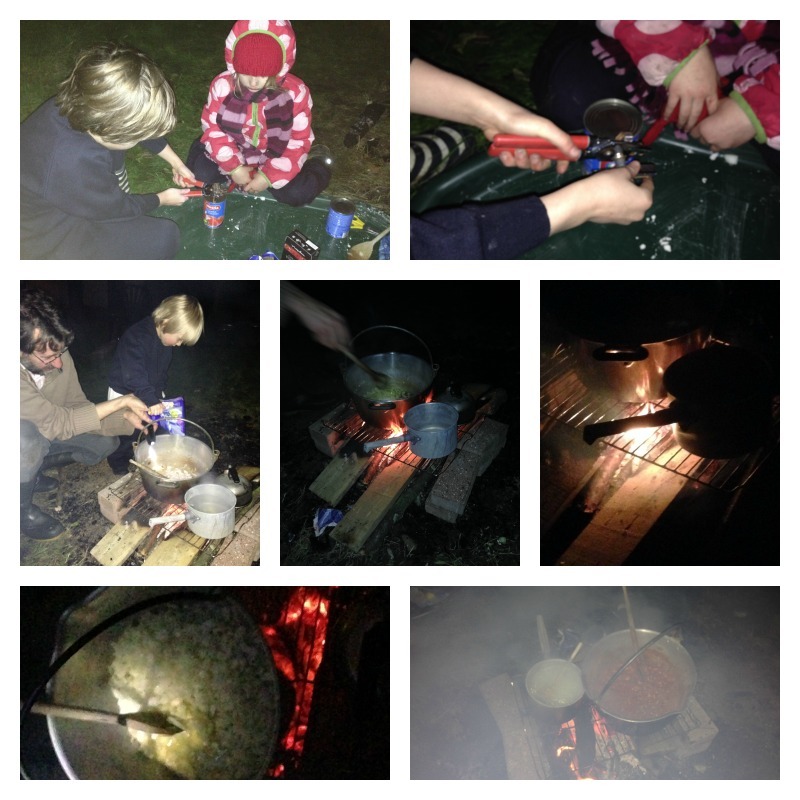 We still stick to sausages and marshmallows but the fun of outdoor cooking is one we all enjoy. Looks like you have the perfect garden spot there for future cooking. A lovely Country Kids entry, thank you for sharing. 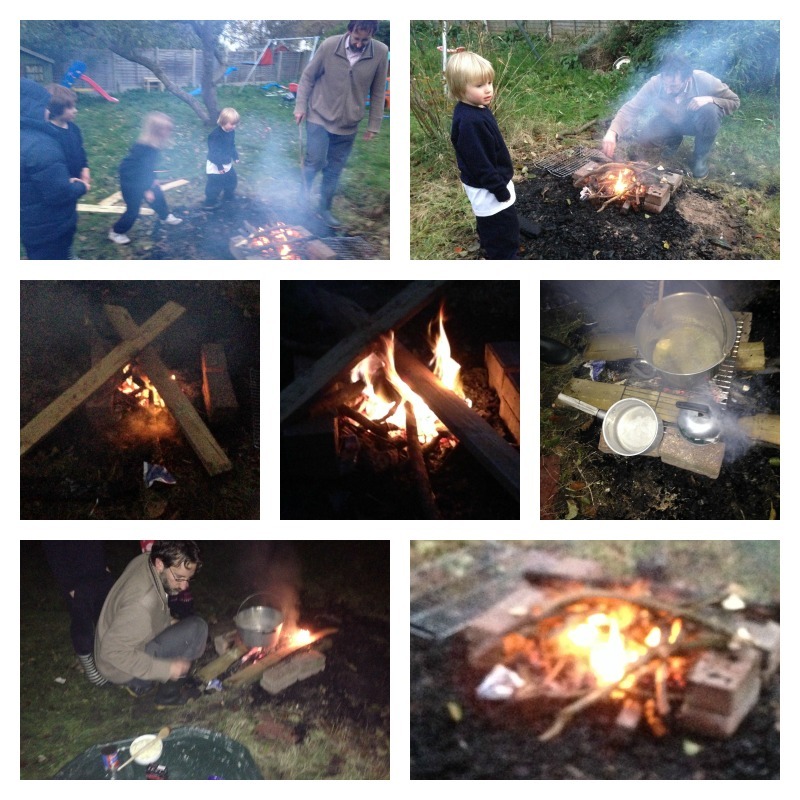 What lovely outdoor fun and such a special time to share with Daddy although he is certainly more adventurous in the outdoor cooking than we are! You really made the most of the fire. When I saw the photo I thought it may be nice to throw some jacket potatoes in there but your prawn curry idea is much much better! what a fabulous idea! love the pictures! Great idea. May try this too.